The realms of fantasy are vast and include no limit to the number of possible creatures that roam their exotic lands. The denizens include everything from cuddly creatures that demand to be treated with admiration and chin scratches to gargantuan monstrosities who will surely bring about a kingdom’s worth of destruction if they are not halted! But, amidst those beasts are a wide variety of peoples. Humans, of course, occupy many lands but the forests and highlands hide elves who are wise, mystical, and craftily capable. Dwarves reside in the mountains, ever forging powerful weapons within their insular domains. But, these are the races that we always hear about. Many kids look towards them as their heroic destinations, human rangers, dwarven fighters, and elven mages who might topple the threats from the vicious orcish warlords. But, the others? Some of them are a little more interested in leading that orcish army and seeing things from the perspective of the horde of possibly misunderstood tribal warriors! This time, that very horde beckons for a new grunt to join for might and honor. 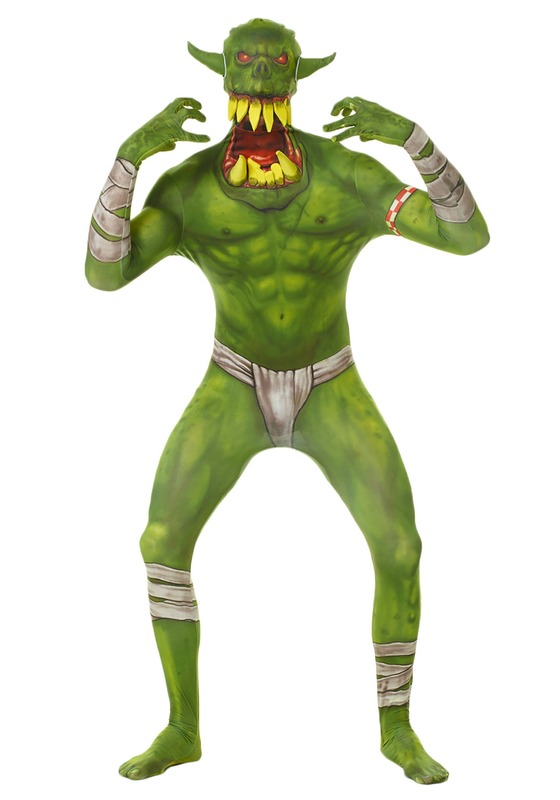 With this Kids’ Green Orc Morphsuit, your tyke can do just that. The polyester and spandex fabric makes for an easy fit and the graphic print quickly transforms your kiddo into a muscled barbarian clad in arm and leg bandages and a matching loincloth! Foam teeth attach to the face and neck to give the ferocious three-dimensional effect of an orcish battle cry, ready to crush any elf or dwarf with ease! Even easier with a war axe accessory! 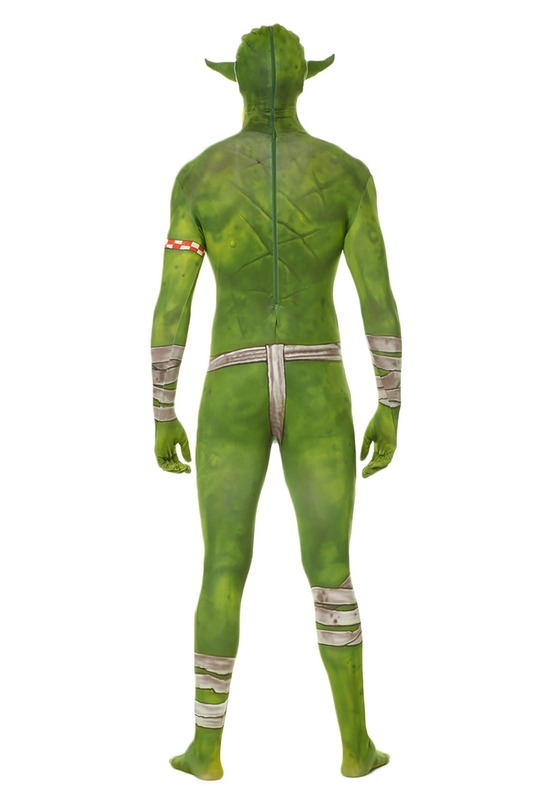 Awesome, high quality costume. My son loved this costume and got so many compliments! Looks so cool! Very well made. Only complaint is the teeth came off pretty easily with a rough 5 year old playing in it but easily fixable with a little hot glue. My son is so excited for Halloween!